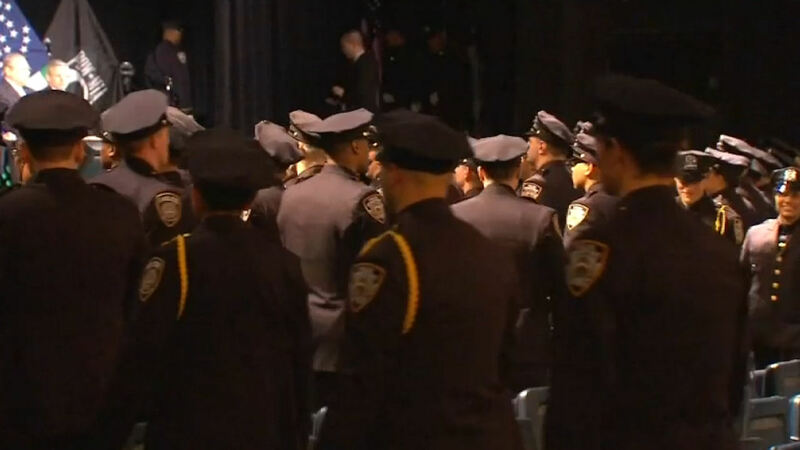 NEW YORK (WABC) -- The new goal in recruiting new NYPD officers is making sure the force mirrors the people it serves. It is no secret the department has increased its efforts to bring on more minorities following the deaths of Eric Garner and Akai Gurley. In terms of diversity, the graduating class is 48% white, 25,7% Hispanic, 13.51% Asian, but only 12% Black. For gender, in a class of 555, 449 are male, 106 are female. One of those women who graduated Wednesday at Madison Square Garden is Teryann Ferguson, who grew up in Brownsville. "I hope young black females see me, and say 'I could be her one day," says Ferguson. For those for religious beliefs, like the Sihk faith, the NYPD has now revised its patrol guide to allow these new head coverings, and prospective officers can have beards up to 1/2 inch long.